Obuasi for the first time in history experienced a fun packed weekend full of excitement and entertainment when OFM was officially launched. 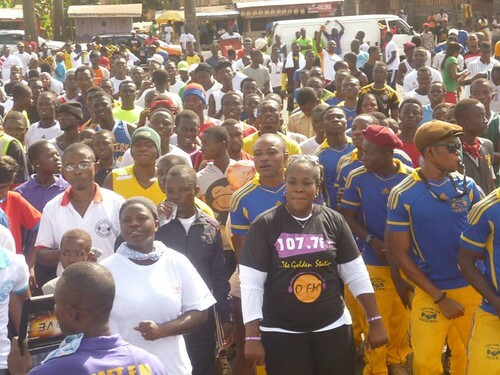 The event commenced with a colourful health walk in the early hours of Saturday with over two thousand participants walking through some principal streets of the town. 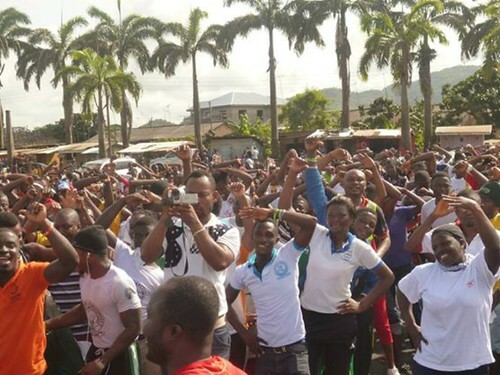 Participants included the Divisional Commander of Police, Municipal Chief Executive, Officials of Anglogold Ashanti, Various Fun Clubs staff and friends of the station. The health walk ended with an aerobic session and free health screening for the general public. The event continued with a special barbecue party at the Black park where the general public had an opportunity to dance to great music, interact with friends and their favorite presenters from the station. 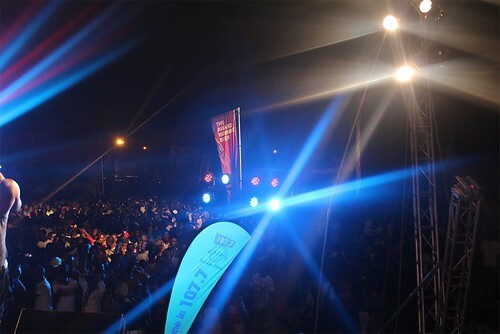 Later in the evening, the stars descended on the Anyinam Street for the much anticipated street carnival sponsored by Stone Strong Larger and Agya Appiah Bitters. 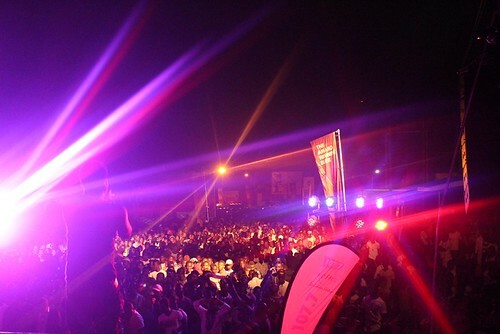 It was almost all ‘duo affair’ as a good number of Ghana’s music groups were all present. The ‘Aluguntugui’ hit makers Keche wrapped up the performances for the night after electrifying performances from Dobble, D2, Eno, Danso Abiam, Galaxy, the Flash Mob Dancers. 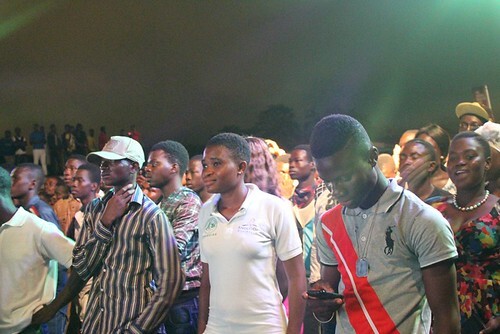 Upcoming musicians from Obuasi were not left out as they were also given the opportunity to showcase their talent. Some of the patrons of the night’s events expressed their joy about the events and pleaded with the managers of the station to subsequently bring shows of such nature. O FM is an independent, commercial radio station and operated by Rainbow Broadcasting Limited with a Frequency Modulation of 107.7. O FM delivers high quality content programmes in relation to Arts, Business, Culture, Life-Style, National Development, Politics and Sports which are hosted by seasoned and professional presenters who are very passionate about the work they do. The next time you visit Obuasi, don’t forget to tune in and keep your dial on 107.7Fm. 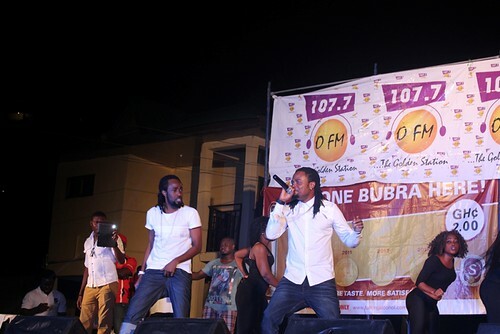 OFM 107.7 launched in Obuasi | See Photos 0 out of 5 based on 0 ratings. 0 user reviews.